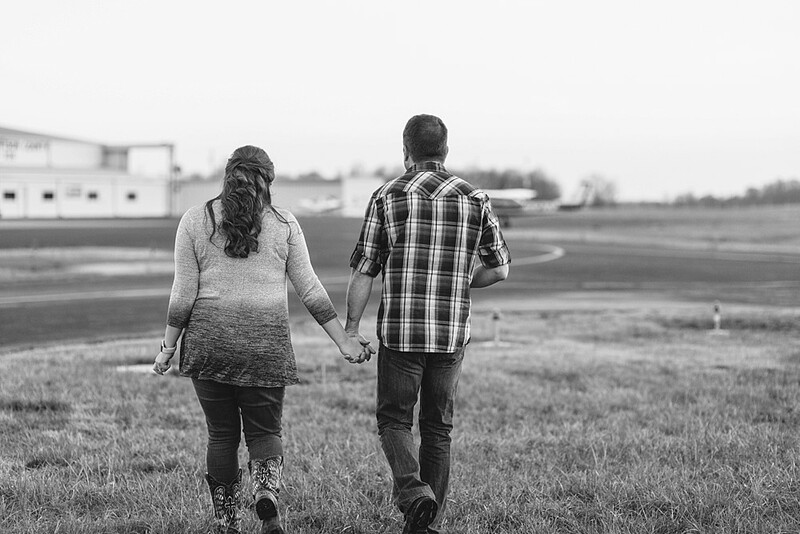 From the moment I met Joe and Jodie, I was SO hoping they would choose me to be their wedding photographer, and lucky me– they did! 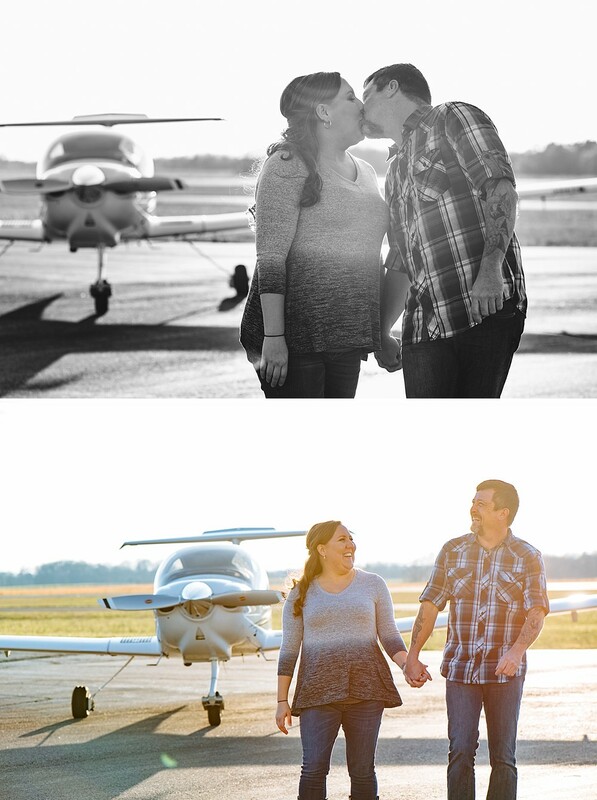 They’re some of the coolest people I know. 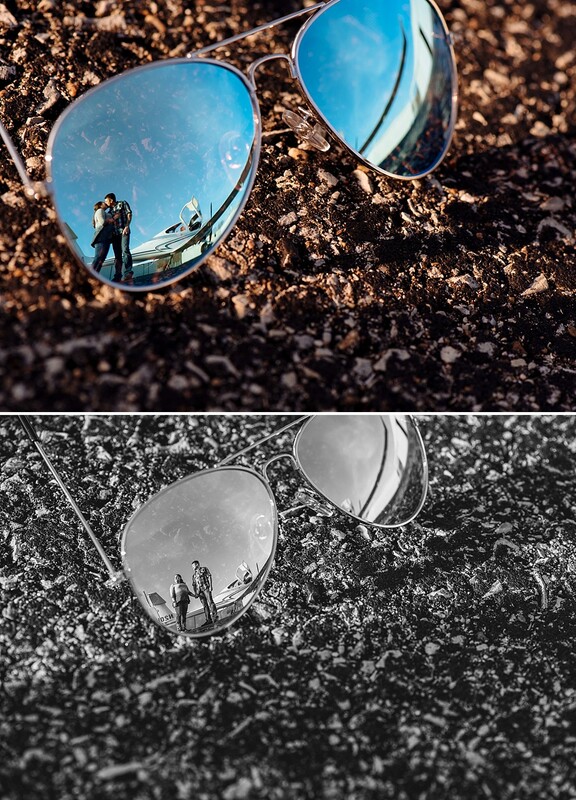 I had a blast doing their engagement shoot, and I can’t wait to shoot their wedding! 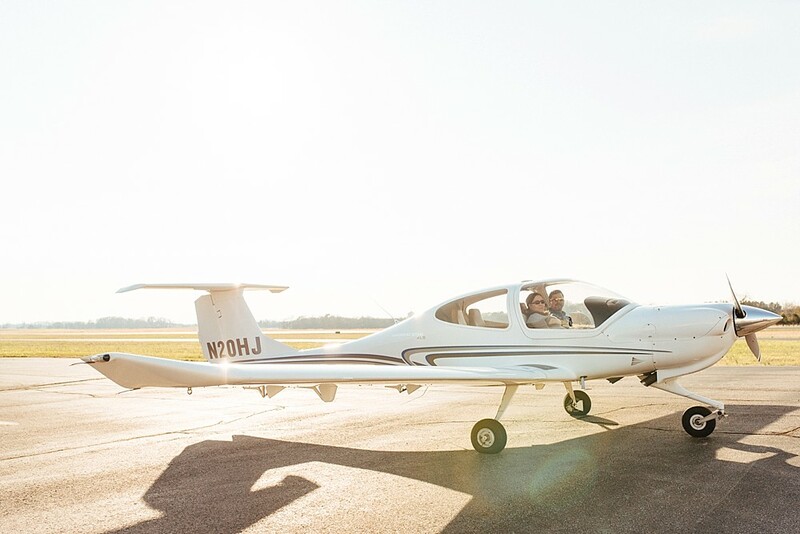 This was the first time I’ve ever had a client (literally) fly a plane to get to a session instead of just, you know, driving. 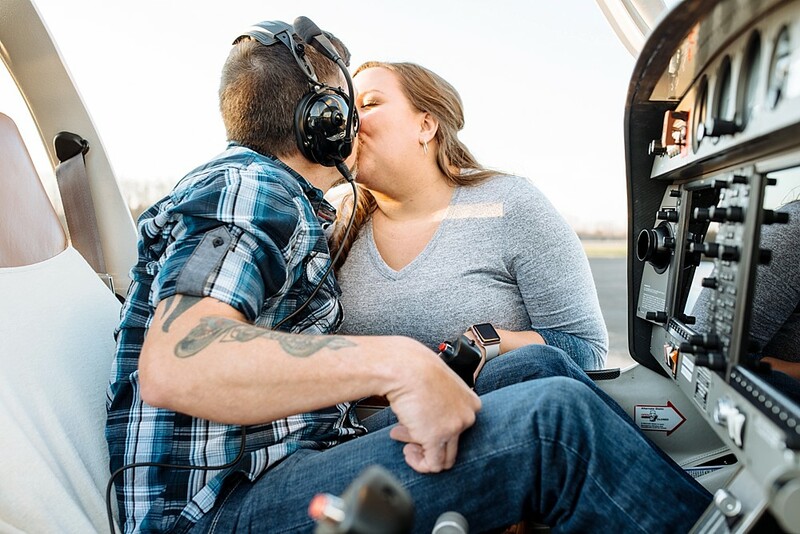 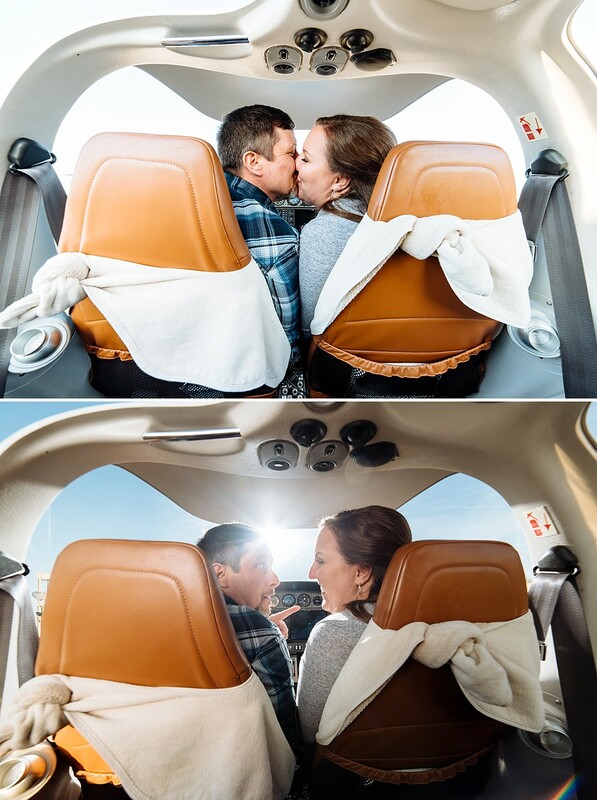 Joe recently fulfilled a lifelong dream of getting his pilot’s license, so these two wanted to have their engagement session at the Springfield-Robertson Airport. 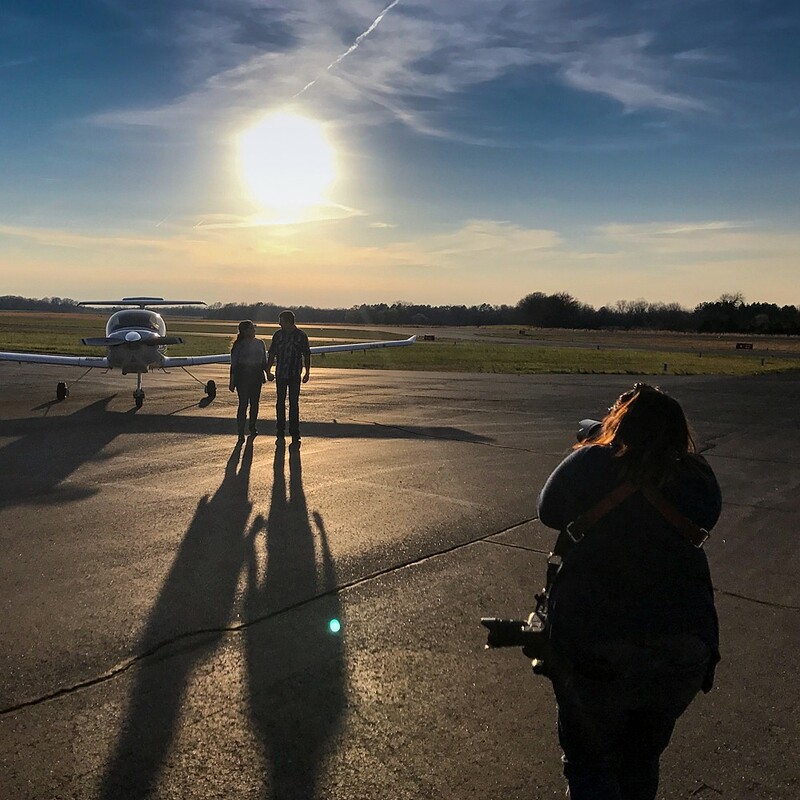 The location was so cool that my husband, Tommy, even wanted to tag along– which was great, because he ended up being a huge help! 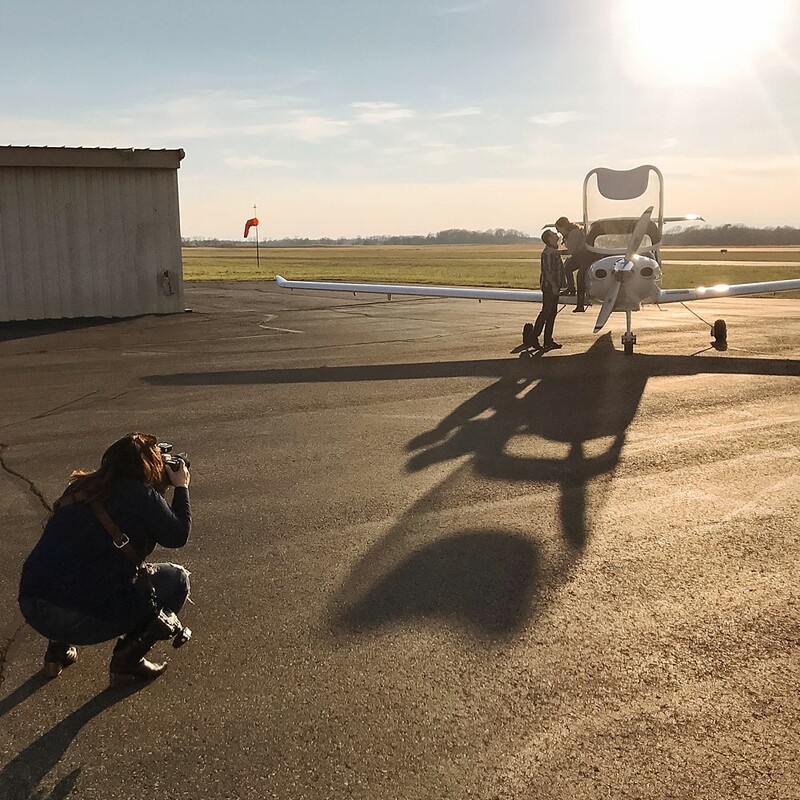 We had the whole airport to ourselves, and Joe and Jodie were up for trying just about anything I could dream up for creative shots! 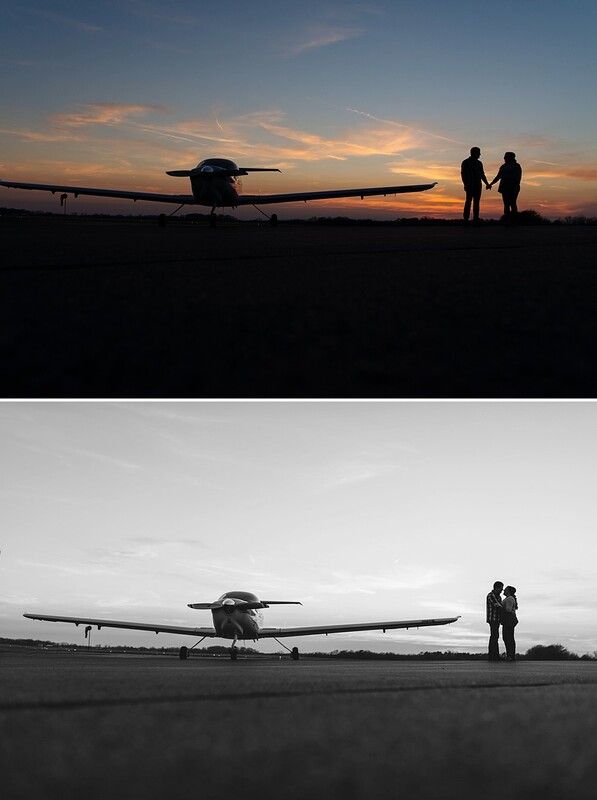 With my husband there, I was able to do some really cool things with different lighting techniques, and of course we took advantage of the gorgeous sunset (with a plane in the sky in the background– how perfect was that timing?!). 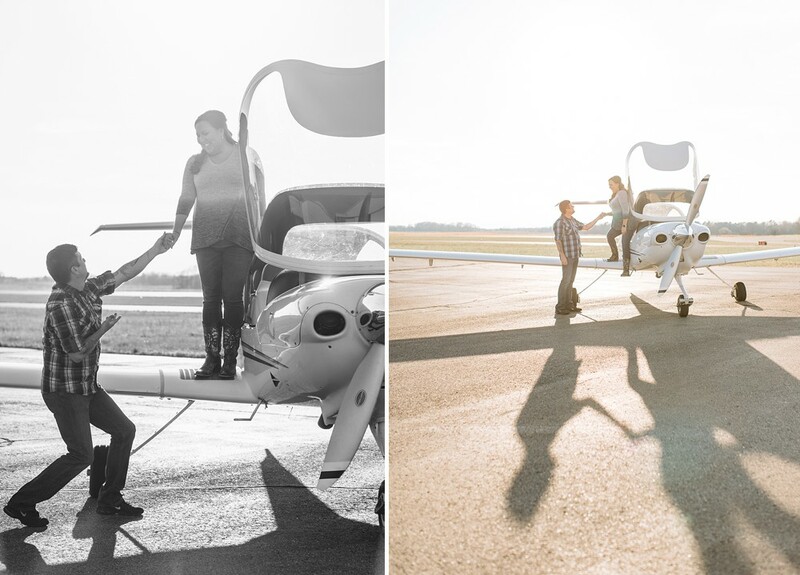 We focused mainly on shots with the plane and tried to really capture the aviator and airport vibes, but we snuck in a few of the more traditional romantic shots, too. 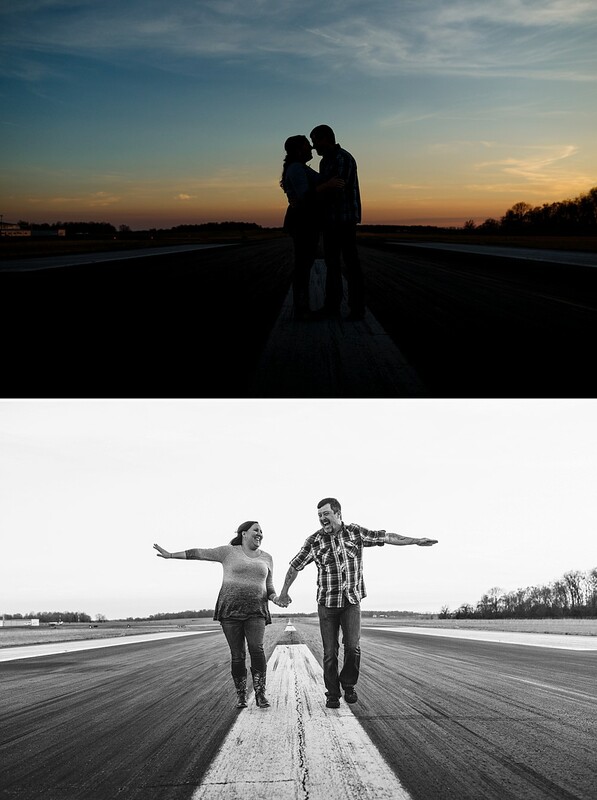 I couldn’t be happier with how this unique session turned out, and I’m so pumped to shoot Joe and Jodie’s wedding in May!